Yves Courage is clearly very pleased with the latest LMP2 car to emerge from his workshops - the LC75 LMP2 car, which ran for the first time on January 5. "With the LC75 a new era starts for Courage as a manufacturer and we are convinced that the LC75 will equal and even improve upon the results obtained by its predecessor," says Yves Courage. The design work has been carried out by regular Courage man Paolo Catone, while the highly respected Ben Wood is responsible for the aerodynamics, which were developed in the ACE wind tunnel at Magny-Cours. The company suggests that the car has already displayed "outstanding aero results" - so encouraging that they persuaded Yves Courage to name the car in recognition of his beloved wife Liliane. "The project has been granted the highest investment in people, tools, time and money that Courage has ever made in its 24 years of existence." The first car has been fitted with Mecachrome's 3.4 litre V8, but installation kits will be available to fit either the 3.4 Judd V8 or the AER 2 litre turbocharged engine. Grids this year will see a mix of C65s and C75s, but the company's hybrid C65 will no longer be eligible in 2007. 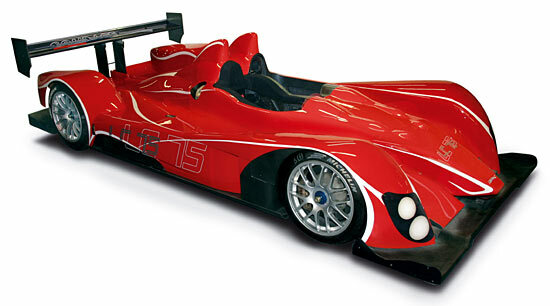 Courage Competition is also developing its LC70 LMP1 car.